Amaiak Chilingaryan, M.D. is a board-certified adult neurologist with clinical neurophysiology fellowship training received USC Keck School of Medicine. Dr. Chilingaryan specializes in the diagnosis, management, and treatment of disorders in ADULT general neurology, which include stroke, epilepsy, neuromuscular disorders, dementia, memory loss, multiple sclerosis, headache disorders, neuropathy, sleep disorders, neuropathic pain syndromes, traumatic brain injury, movement disorders, such as Parkinson’s disease, and other neurological disorders. 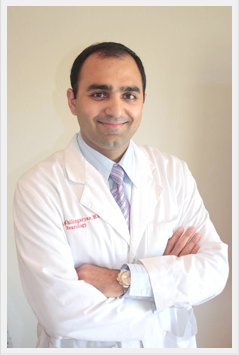 Dr. Chilingaryan received his medical degree from the Chicago Medical School. His internship in Internal Medicine at the UCSF Fresno Medical Center was followed by residency in Neurology at the LAC/USC (LA County) Medical Center and fellowship in Clinical Neurophysiology at the USC Keck Medical Center. Fellowship training in clinical neurophysiology included electromyography/nerve conduction studies (EMG/NCS) for the diagnosis of peripheral nervous system and muscle disorders and electroencephalography (EEG) for the diagnosis of epilepsy and other central nervous system disorders. The fellowship also included training in evoked potentials and sleep medicine. Dr. Chilingaryan uses evidence-based medicine in a multidisciplinary approach with other physicians and health care professionals to coordinate care for his patients. His understanding of the impact of neurologic disease on patient’s state makes him an even more compassionate neurologist and advocate for patient care. Dr. Chilingaryan has presented at neurologic and neuromuscular conferences and has published his works in high ranked journals. (These can be found on publications link). He also has developed new and unique staining techniques for staining human nerve cells and blood vessels. Dr. Chilingaryan has participated as a sub-investigator in numerous clinical trials.